Charter bus accidents have been too occurring frequently in Georgia. Victims need a serious charter bus accident lawyer to assist with their injuries. In 2018, a charter bus accident caused serious injuries when a bus containing a group from Gwinnett County overturned on its way to the Masters golf tournament in Augusta, Georgia. Also in 2018, members of a West Georgia Tech women’s basketball team sustained injuries when their charter bus overturned in Virginia as they drove to a national tournament. Both incidents allegedly involved drivers subjecting the passengers to unnecessary risk and danger. Charter bus accidents are serious. Passengers place their faith and trust in drivers and bus companies to get them to their location safely. 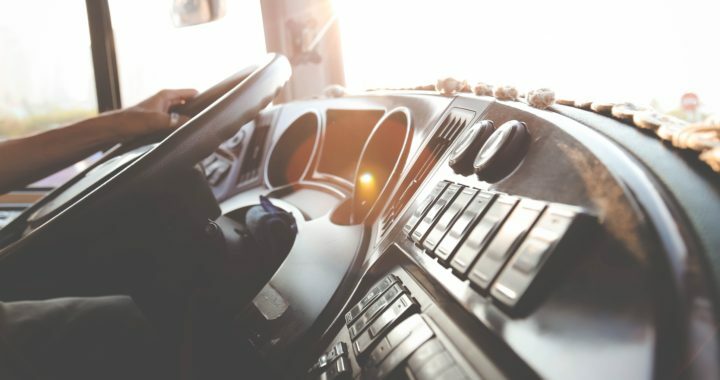 When a company and its drivers are driving erratically, not taking appropriate driver sleep breaks, or driving under the influence, the resulting accidents are devastating. Charter bus companies often do not put seat belts in their buses. This means that nothing keeps the passengers safely in their seats in a rollover accident. Charter bus accidents require a charter bus accident lawyer who understands the important differences between charter bus accidents and regular car accidents. The courts consider some charter bus companies “common carriers” under the law. “Common carriers” are a special grouping that must obey stricter safety requirements. A charter bus accident lawyer can use the bus company’s failure to follow these requirements to help the injured victims in court. An experienced charter bus accident lawyer can tell you if your bus company qualifies as a common carrier. A charter bus accident lawyer can determine if your bus company followed these stricter requirements. The attorneys and staff at the Law Offices of R. Michael Coker handle complex and complicated charter bus accident cases. R. Michael Coker understands this complicated area of the law as a charter bus accident lawyer. He has handled some of Georgia’s most high-profile bus accident cases. If you or someone you know has been injured in a charter bus accident, call our law firm for a free consultation today. You must act quickly to preserve critical evidence in the case. You can protect your case by speaking with a charter bus accident lawyer as soon as possible. Did you know that Gwinnett County has some of the State of Georgia’s most dangerous roadway intersections? We have compiled traffic data from Gwinnett County, local and city police departments, and our own personal injury cases, to provide you with the 20 most dangerous intersections in Gwinnett County. Is an intersection in your home city on the list? The Mall of Georgia brings thousands of visitors to Buford from across the state, and many are unfamiliar with the area. Drivers often run the red light on Buford Drive because they are distracted by the nearby merge on to Interstate 985. When mixed with other drivers in a hurry to leave the nearby Wal-Mart store, this intersection is notorious for accidents. The crossing of two major state highways in Snellville, Highway 124 and Highway 78, has gotten safer since the Georgia DOT removed the reversible lanes. Drivers were often confused by the vague street markings and the overhead “X” signs resulting in serious head-on collisions. Although the reversible lanes were removed, the heavy traffic and high speeds of travelers on Highway 78 still makes it one of Gwinnett’s most dangerous intersections. This is the second time that an intersection near the Mall of Georgia appears on Gwinnett’s 20 most dangerous intersections. Drivers on this stretch of Highway 20 often drive well in excess of the posted speed limit, and drivers turning left onto Old Peachtree Road face a serious risk from oncoming traffic. Georgia Highway 316 has always been one of Gwinnett County’s most dangerous roads. In 2015, tragedy struck the City of Dacula when two brothers in high school were killed in Dacula while crossing Highway 316. Drivers on SR316 treat the state road as an expressway, driving at excessive speeds and without the proper care for the intersections. The chance of an accident at the intersection of Duluth Highway and Riverside Parkway peaks between 4 pm and 7 pm during the height of the afternoon rush hour. Highway 120 has quickly become a popular alternate for drivers attempting to avoid traffic on Highway 316 and Interstate 85. During peak travel hours, distracted drivers in a hurry to get home, often take unsafe risks when turning or crossing Duluth Highway. Intersections 14 and 15, if combined, would put them at the top of the list. Located only 1,000 feet apart, Lawrenceville Highway’s intersections with Lawrenceville Suwanee Road and Sugarloaf Parkway, when considered together, have the most accidents in Gwinnett County. With the combination of high driver speeds, heavy traffic, and a busy Wal-Mart shopping center, these two intersections create a dangerous combination for drivers in Lawrenceville. Sugarloaf Parkway has become a popular alternate for travelers attempting to cross the heart of Gwinnett County. With this increase in the number of travelers on Sugarloaf Parkway, crossing Highway 29 is extremely dangerous, particularly when drivers are in a hurry and not paying close attention. Drivers from around Metro Atlanta now use Jimmy Carter Boulevard as an alternate for Interstate 285. As the congestion on Interstate 285 continues to get worse, so does the traffic on Jimmy Carter Boulevard in Norcross. The “diverging diamond” intersection at the Interstate 85 overpass was supposed to help with the congestion, but heavy traffic still remains in the area. As a result, the Goshen Springs Road intersection nearby remains a danger for travelers. The traffic on Georgia Highway 78 reaches its most dangerous point in Gwinnett County at its intersection with Hewatt Road in Snellville. Drivers in a hurry on Highway 78 often run the Hewatt Road red light. 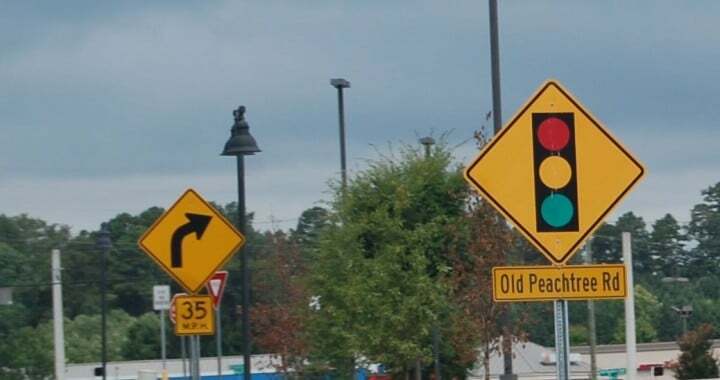 Hewatt Road provides access to many of Snellville and Lilburn’s residential areas along the Yellow River, so travelers coming to and from their homes must always be alert when crossing this intersection. Did you know that Peachtree Industrial Boulevard has more speeding drivers than most roads in Gwinnett County? Many drivers treat Peachtree Industrial like an interstate rather than a residential road. Peachtree Industrial’s speeders are the greatest threat to other drivers at McGinnis Ferry Road in Suwanee, another major thoroughfare. Once considered the far reaches of Gwinnett County, the population of the Hamilton Mill area has exploded with growth. Unfortunately, the intersection of Highway 124 and Hamilton Mill has been unable to keep up. Despite added turn lanes, the intersection struggles to handle the retail and residential traffic in the area regardless of the time of day. Located just outside our office, we have seen terrible accidents at the Duluth Highway and Satellite Boulevard intersection. After 5 pm, traffic backs up on the streets surrounding the intersection, and distracted driving can result in a serious rear-end collision. Traffic using Satellite Boulevard as an alternate during that time period should use extra caution. Although Gwinnett Place Mall continues to undergo retail changes, the traffic on Pleasant Hill remains heavy. Both Pleasant Hill Road and Satellite Boulevard reach their widest points at this intersection, which means that Pleasant Hill and Satellite easily places as one of Gwinnett’s top ten most dangerous intersections. Located approximately 700 feet from the Goshen Springs intersection, the Brook Hollow intersection with Jimmy Carter Boulevard also makes the top ten most dangerous. In fact, Jimmy Carter Boulevard has more dangerous intersections than any other road in Gwinnett County. Brook Hollow provides an alternate route to Indian Trail Road instead of Interstate 85, and thus the greater amount of traffic from Jimmy Carter adds to the danger. Near the Sugarloaf 316 overpass, the Sugarloaf turn lanes are confusing for traffic turning both on to Cruise Road and Highway 316. Many drivers unfamiliar with the area have difficulty merging into the heavy traffic. With the amount of restaurants and shopping centers nearby, the amount of traffic can cause serious accidents. Indian Trail and Beaver Ruin Road meet at the top of a hill which provides an awkward visibility angle for drivers turning from Indian Trail. This limited sight angle combined with the speed of drivers on Beaver Ruin Road creates a dangerous situation. Norcross drivers also face a second risk at Beaver Ruin’s nearby intersection with Buford Highway – an intersection which narrowly missed making this list. The only Sugar Hill intersection appearing on our list is also the fourth most dangerous in Gwinnett. The intersection of Nelson Brogdon Boulevard (Highway 20) and Peachtree Industrial is dangerous in part because Highway 20 shifts from a four lane highway to a two lane highway shortly after this intersection. This unexpected lane merge causes drivers to slam on their brakes quickly and rear-end collisions are common. The Steve Reynold Boulevard and Venture Drive intersection’s danger comes from the number of drivers crossing that intersection to access the retail stores on Venture Drive. Costco, one of Duluth’s largest stores, is located near the intersection and congestion is heavy, and Steve Reynolds’ lack of an I-85 south exit ramp only adds to the amount of traffic in this intersection. The intersection of Highway 316 and Fence Road is one of Gwinnett’s most chaotic intersections. Traffic coming from and turning onto Fence Road often must jockey for position just to see the approaching traffic. Even if drivers have a good view of approaching traffic, the lack of any traffic light at the intersection makes this Dacula intersection one to avoid if at all possible. Jimmy Carter Boulevard’s intersection with Peachtree Industrial tops our list with the most accidents. The Jimmy Carter/Peachtree Industrial Intersection is both confusing and dangerous. High speed traffic on Jimmy Carter meets fast traveling traffic exiting Peachtree Industrial, and the traffic signals and street markings only add to the confusion. Always slow down when crossing under the Peachtree Industrial Bridge to ensure that no confused driver enters into your path. That concludes the top 20 most dangerous intersections in Gwinnett County. Do you believe that we left off a dangerous intersection near you? 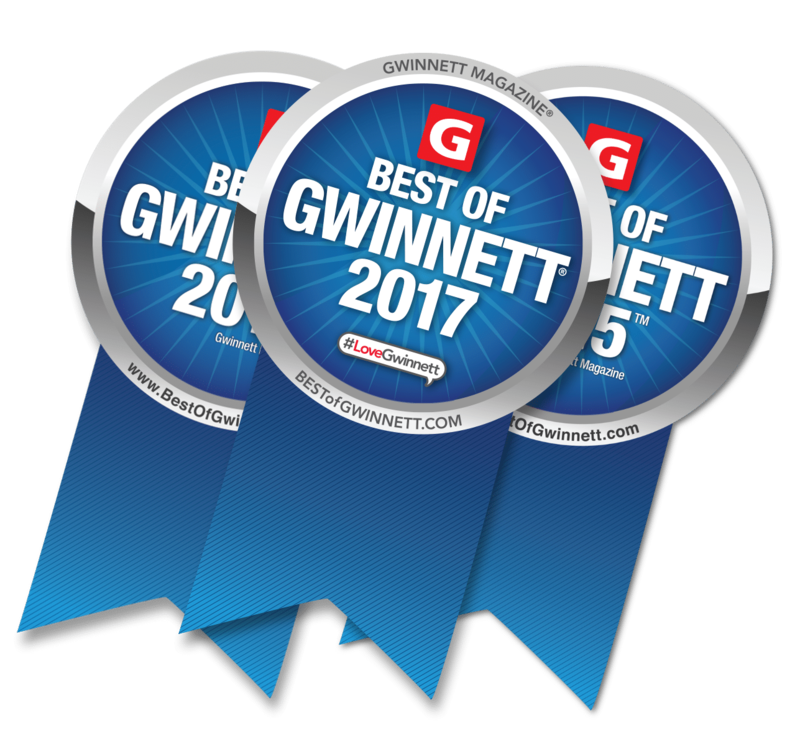 Like us on Facebook and leave us a comment to let us know which ones you believe are Gwinnett’s most dangerous intersections. Between the feeling of a good, southern hometown and the beauty of the Vines Botanical Gardens, Loganville, Georgia, is a city filled with many visitors and residents. With the big majority of traffic traveling on Highway 78, accidents happen and problems arise day in and day out. 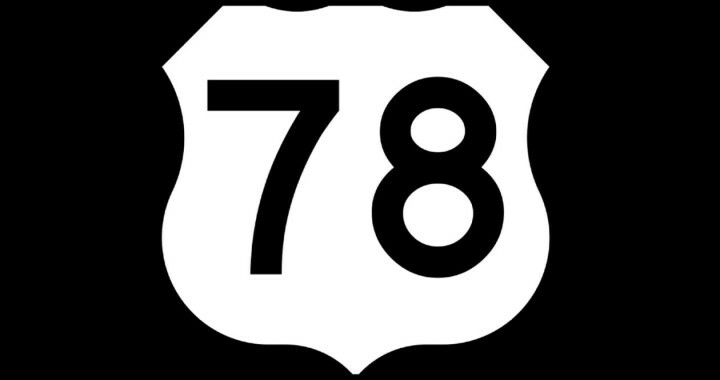 Highway 78 is considered one of the most dangerous roads in the State of Georgia, and Loganville accidents can be serious. In 2010, an accident occurred at the intersection of Brand and Oak Grove roads. Two teen brothers were injured when their vehicle collided with a pick-up truck. Both boys were transported to Gwinnett Medical Center, one being in critical condition. Our Loganville accident lawyer has handled many Loganville personal injury car accidents both in Gwinnett and Walton Counties, and we are ready to answer questions you may have about your rights and responsibilities after an accident. If you or a loved one has been involved in a car accident in Loganville, please call our Loganville accident lawyer for a free case evaluation from an experienced Loganville accident lawyer. Our accident lawyer can help with medical bills, accident expenses and insurance policies. Our Loganville accident lawyer will help you navigate the next steps when moving forward after a life changing even, such as an accident. Loganville, Georgia is a city where residents and visitors leave the crazy and hectic schedule of the city to relax in the comfortable feel of a great town. Sometimes, though, there are accidents caused by citizens who are distracted and serious injury and damage can result. If you are looking for a Loganville accident lawyer to help you with a Loganville accident, our firm is always available to give you a free, no-obligation case evaluation. A member of our team can even meet you in Loganville. We are prepared to answer any questions you may have resulting from the accident. Call today to learn more about our experience helping Loganville residents in car accident and injury claims. The city of Suwanee, Georgia is traveled through by thousands a day. Between Buford Highway and Interstate 85, heavy traffic is expected when going to work early in the morning or going out to dinner on a Friday night. With such a great volume of travelers, accidents ranging from minor to major occur frequently. In 2013, a tractor trailer and a car collided at Satellite Boulevard and Shawnee Industrial Way near McGinnis Ferry Road, leaving two dead and one critically injured. Our Suwanee accident lawyer has handled many Suwanee personal injury car accident cases. We are prepared to answer any questions you many have regarding your rights and responsibilities after an accident. Since the City of Suwanee is governed by both the Suwanee Police Department and the Gwinnett County Police Department, it is important to know which police jurisdiction applies when handling your Suwanee automobile accident case. If you or a loved one has been involved in a car accident in Suwanee, please call our firm for a free case evaluation from an experienced Suwanee accident lawyer. Our accident attorney can help with medical bills, insurance policies and anything else related to the accident expenses. 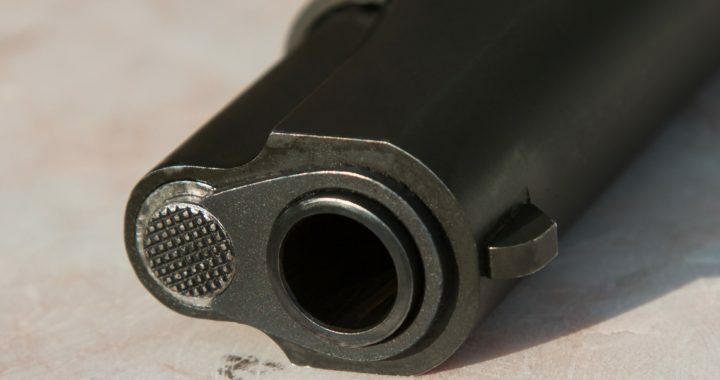 Our Suwanee accident lawyer will help you decided the next steps after a tragic incident. Suwanee, Georgia is a great city, filled with residents and travelers at all times of the day. 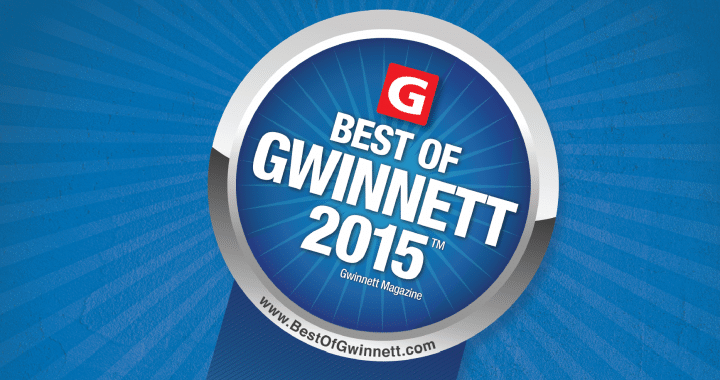 Most often, the City of Suwanee is filled with hardworking citizens who obey traffic laws and drive safe. Sometimes, however, drivers are distracted and a serious injury can result. If you are looking for a Suwanee accident lawyer to help you with a Suwanee accident, our firm is always available to give you a free, no-obligation case evaluation. Call today to learn more about our experience helping Suwanee residents in car accidents and injury claims. If you have been in an accident in the city of Duluth, you will likely need the advice of a personal injury lawyer who is familiar with Georgia personal injury law. Heavy traffic in the city of Duluth comes from the many residential homes and office spaces that are scattered throughout the area. A Duluth accident lawyer can help you plan what to do next after you have been involved in a vehicle accident. Depending on the severity of the accident, there may be things to take into consideration such as insurance bills, hospital bills, and doctor bills if injury has occurred. When a serious accident occurs, there may be legal repercussions for both parties. R. Michael Coker, as the Duluth accident lawyer, knows the importance of protecting yourself and your loved ones if injury has occurred. In December 2013, a three-car accident resulted in the death of a pregnant 19-year old woman, as well as the injuries of several others involved. The Duluth accident lawyer can give you a run-down of typical accident-related expenses and also give advice on how to protect yourself and your loved ones who have been involved. Our office is conveniently located off Satellite Boulevard in between Sugarloaf Parkway and Georgia Highway 120 right near the Arena at Gwinnett Center. Duluth, Georgia is a great place to work and live. However, accidents do occur and if you need an attorney to help you after a Duluth car accident, we are always willing to give you a free, no-obligation case evaluation. We have years of experience with insurance companies dealing with Duluth car accidents. We can help you handle even the most serious car accident case. Call us today to learn more about our experience helping residents of Duluth with their car accident injury claims. The city of Norcross, Georgia experiences heavy traffic flow due to the high volume of commuters and residents passing through. Thousands of cars, trucks, motorcycles, and other vehicles drive on the roads in Norcross every day. This high volume of vehicles results in dozens of traffic accidents every single day. These accidents range from minor incidents to more serious car accidents causing road closures. In 2011, a three-car collision in Norcross on Jimmy Carter Boulevard left one person dead and two others in critical condition when a car swerved over the median in Jimmy Carter and struck a car head-on. Our Norcross accident lawyer has handled many personal injury cases for Norcross car accidents, and we are prepared to answer any questions you may have regarding your rights and responsibilities after an accident. If you or a loved one has been involved in an accident in Norcross, please call our firm for a free case evaluation from an experienced Norcross accident lawyer. We have handled all types of Gwinnett County accident cases, including Norcross car accidents. Our Norcross accident lawyer can help you understand medical bills, insurance policies, and other accident related expenses. Our Norcross accident lawyer will help you decide what to do next after you have been involved in an accident. Norcross, Georgia is a bustling city where commuters and residents alike travel through regularly. If you need a Norcross accident lawyer to help you after a Norcross car accident, our firm is always available to give you a free, no-obligation case evaluation. Call us today to learn more about our experience helping Norcross residents with their car accident injury claims. Whether you are at-fault or the victim of a Norcross car accident, our lawyers can help you figure out the next steps you need to take. On March 12, 2015, Attorney R Michael Coker spoke on trial techniques for personal injury lawyers from across the state at the State Bar of Georgia. R Michael Coker shared his personal experience litigating and trying injury cases against insurance companies to a crowd of over eighty trial lawyers in Atlanta. Attorney Coker was the only attorney from Gwinnett County asked to speak at the seminar and was one of the only presenters with an office outside of Atlanta. At the seminar, R Michael Coker shared trial strategies with the lawyers in attendance to help maximize their client’s recovery. 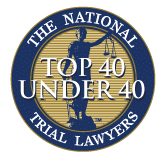 By explaining ways to overcome common defense tactics at trial and how to address juror biases when dealing with a personal injury tort case, R Michael Coker created an open forum for fellow trial lawyers. The goal was for lawyers to share and gain trial skills in an injury case. The seminar was sponsored by the Georgia Institute for Continuing Legal Education, and participants received course credit for attending. The seminar topic included strategies for admitting medical records and bills, vehicle damage photographs, the client’s testimony, and opening and closing arguments. R Michael Coker explained how attorneys could establish themselves as trial lawyers with insurance companies. 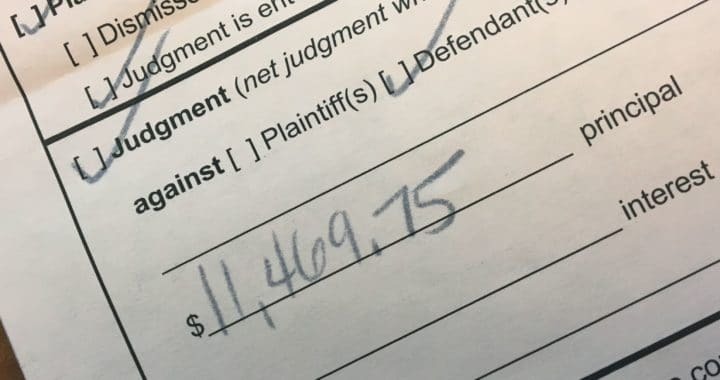 Insurance companies know which lawyers are capable of taking a case to trial, and even their pre-suit settlement offers reflect the actual threat they feel from a particular lawyer at trial. If you, or someone you know, would like more information about the topics covered by R Michael Coker at the seminar, please feel free to contact us directly. We love helping fellow trial attorneys maximize the recovery for their clients, and we would be happy to help in any way that we can. Feel free to contact us for more information.